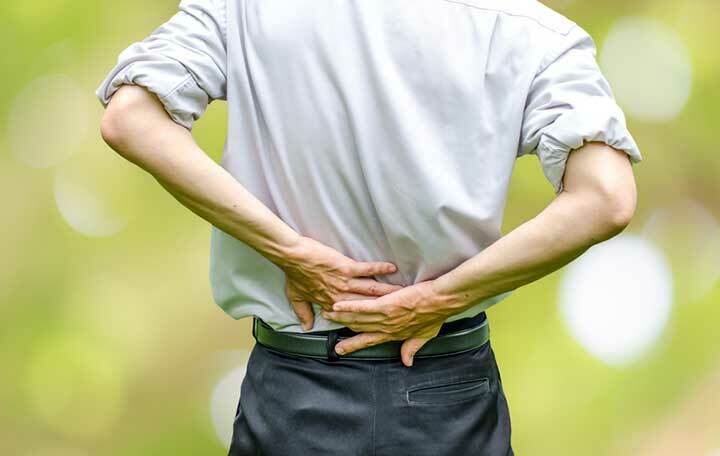 Nearly everyone experiences back pain at one time or another, but there are back pain red flag symptoms that indicate you must seek immediate medical attention. Even when all the parts work well, some back injuries are simply unavoidable. Back pain is normally in your lower back and may cause muscle spasms. But when is back pain serious? A back pain red-flag warning is when the pain is intense, spreads down one or both legs, causes weakness or numbness, or follows a fall or a blow to your back. In these instances, you should seek immediate medical assistance. Sooner or later, you will have it. Most of the time, the pain will be in the lower back. With or without back pain treatment, it will get better, although that doesn’t help during those first few hours or days following an injury. After that, things can get a lot more complicated. The muscles, bones, joints, ligaments, tendons, and disks of the back all have to work together in perfect harmony to avoid injuries. Even when all the parts work well, however, some back injuries are simply unavoidable. Skeletal irregularities like scoliosis—a side-to-side deviation of the spinal column—can cause pain in the upper, mid, or lower back. The lower back is one of the most frequent areas affected by osteoarthritis. Other structural problems, such as sciatica, herniated disc, and spinal stenosis, are discussed in separate articles. The information that follows pertains just to lower back strains. Rest your back for 24 to 48 hours, but do not stay completely immobile. Limited, mild movement is better than complete bed rest. Ice or heat? Apply ice packs for 15 to 20 minutes, three to four times a day for the first 48 to 72 hours. Heat or ice? Apply moist heat after the first 48 to 72 hours, if it makes you more comfortable. Aspirin, acetaminophen, ibuprofen, and naproxen may relieve pain. Aspirin, ibuprofen, and naproxen may relieve pain and reduce inflammation. If you sleep on your side, place a pillow between your knees. If you sleep on your back, place a pillow under your knees. Back strains—tears in tendons or ligaments—can occur after sudden or awkward movements, when lifting or moving a heavy object, or absorbing a heavy or unexpected blow. Sometimes, back strains are triggered by seemingly harmless movements, such as bending over to tie a shoe, picking up a child, or reaching upward to get something out of a cabinet. Structural problems may also cause low back pain and may accompany strains. A bulging disc (the soft material between vertebrae) may press against a nerve. If it presses against the nerve that extends downward through the leg, it can cause a shooting pain called sciatica that affects the buttocks and the back of the leg. Avoid sitting in one position for long periods of time. Get up and stretch every 20 to 25 minutes. Slowly and carefully execute each movement required in daily activities before trying to do them in real time and real situations. Use a lower back support to keep the pressure distributed evenly on the muscles of the lower back. When lifting heavy objects, keep your back as straight as possible and use your legs. Do not bend at the waist. Avoid slouching when sitting. Use a lower back support to keep the pressure distributed evenly on the muscles of the lower back. Do not increase exercise intensity, frequency, or duration, more than 10 percent a week. Strained back muscles can be excruciatingly painful, but you can shorten recovery time by being as active as possible rather sitting or lying in a somewhat comfortable position for long periods of time. Need an encouraging word? A strained back muscle is an acute injury, not one that causes chronic pain. arthritis, back pain, back pain treatment, back support, bones joints, bulging disc, chronic pain, exercise, facet joint pain, herniated disc, inflammation, joint pain, long periods, low back pain, lower back pain, muscle, muscle spasms, osteoarthritis, pain, pain treatment, recovery, reduce inflammation, relieve pain, sciatica, sleep, spinal column, spinal stenosis. Please how I can get a copy of this report?